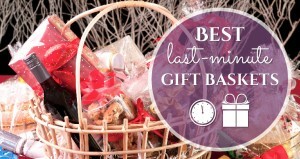 We all have those moments where shopping for a gift becomes a last-minute affair. Whether it is because you were caught off guard, missed a name on the list or just have an urgent need to give a gift to someone, we have compiled a list of our favorite vendors that offer last-minute shopping – some with same-day delivery. While it does cost a little extra, the good news is that it will be our little secret you were shopping on an extremely tight deadline. Harry & David are ideal for those doing last minute shopping. They not only ship throughout the United States, but also to APO/FPO boxes and internationally. Granted, last-minute shopping may not work for international. With Harry & David’s products, all of their gift baskets are eligible for last-minute shipping. You can choose from their gourmet fruit baskets, cheese and meat baskets, coffee and breakfast samplers, etc. While they don’t have any gluten-free baskets, they do offer organic, Kosher, vegan and sugar-free options if you need a last minute gift for someone with dietary concerns too. All of their shipping rates are extremely reasonable and one of the more affordable when compared to others in the same category. Ground shipping starts at $7.99, but when you sign up for regular overnight, you will pay the ground shipping plus a $19.99 additional fee. 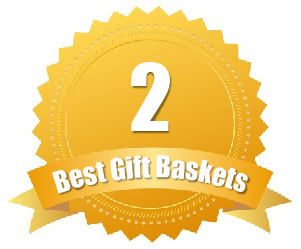 You will be pleasantly surprised at the selection of baskets – including some as low as $20. There are some heartier baskets for over $200 that includes wine as well. Shipping wine? Just remember that not all states accept wine shipments – so you will want to check to see if your state is on the excluded list. 25 years of darn good apples. If you are looking for a gift that contains nothing but the good stuff, and by that we are referring to caramel apples, chocolate-dipped pretzels and homemade caramels, then Mrs. Prindables is there to help. They offer a full range of gift baskets – all centered on their caramel apples. All of their apples are Kosher certified and they have gluten-free gifts as well. 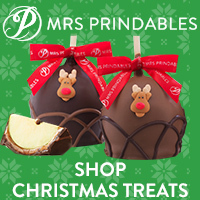 When shopping last-minute, you will find Mrs. Prindables surprisingly accommodating – especially because they are already shipping quickly to ensure the freshest quality apples. The only hold up you may have is that all orders are made-to-order – so they need a little extra time to create the apples and products. But, that also means you are guaranteed to have the freshest caramel apples and gourmet treats. Same day shipping is available on orders as long as you place your order by 12:15pm their time. They do not, however, offer shipping to PO Boxes or APO/FPO nor do they have any international delivery options. Mrs. Prindables has some great (and tasty) gift baskets starting under $30 and going as high as $200+. These baskets are filled to the brim with caramel apple varieties, chocolate-dipped goodies and more. FTD offers gourmet gift baskets are similar to the FTD line of flowers and other gifts – they can all be shipped last minute if you need them to. 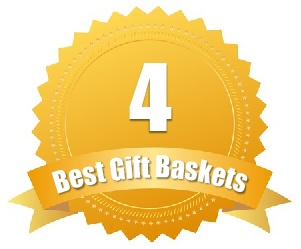 While they offer same day delivery on their flowers, it is next day delivery for most gift baskets – but that is often a trend with most gift basket companies. FTD has plenty of gift baskets to choose from and you can even upgrade or downgrade the size to suit your shipping budget. 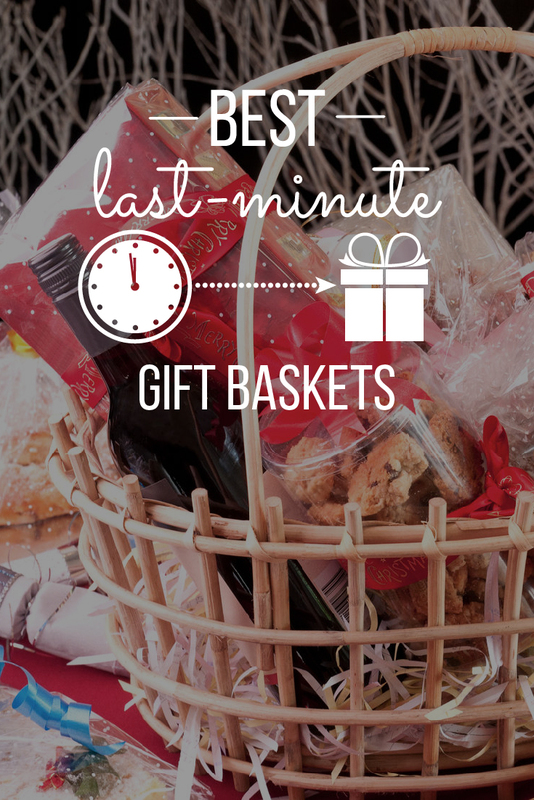 They have baskets for just about every sentiment and even include Kosher, gluten-free, organic and sugar-free baskets if you are doing some last minute shopping for people with dietary restrictions too. The next day delivery is available on all gift baskets and the price will depend on the total merchandise value. You will spend the ground shipping rate – which ranges from $11.99 to $19.99 plus the expedited shipping rate. It should be noted that they do not deliver to APO/FPO boxes, but can ship internationally depending on the gift basket and its contents. Most of the FTD gift baskets on their site average from $40 to $150 in total. Want free shipping with FTD? If you plan to order a lot of gift baskets from FTD, you can sign up for their membership program where you will receive free shipping for an annual fee. iGourmet focuses more on the gourmand than the average basket. They offer unique gift baskets that veer away from the traditional themes (except for holidays of course) and focus on food themes – such as Italian night. While they focus on charcuterie, fine meats and cheeses, baking mixes and even handcrafted pastas, they still are able to offer one of the largest basket selections. They have gluten-free, Kosher, vegan and specialty baskets for those that need them and you can also design-your-own basket. The design-your-own option is not available for last minute shipping though. In terms of last minute shopping, iGourmet offers cheap overnight shipping that starts at $15.98 and goes as high as five percent of the merchandise total. They can deliver to APO/FPO boxes, but these are not for overnight. The majority of baskets with iGourmet start around $20 and go as high as more than $200. The products in these baskets are much higher caliber than generic companies, so you may notice the baskets are smaller, but costlier. Want to really impress a foodie? Try iGourmet’s fondue gift basket kits, olive oils or their cheese board gift baskets. WineBasket.com is all about offering a customized gift basket shopping experience. While they do have baskets that are ready-made, they also offer the ability to add on to a basket, swap out specific products offered in your basket and even design-your-own with their concierge customer service approach. For last minute shopping you will need to focus on those baskets premade and ready to ship. But, don’t let that worry you. There are plenty of baskets to choose from including holiday and sentiment-ready baskets, champagnes, beers, wines, and spirits too. When it comes to their shipping, a large majority of their baskets are shipped for free and still ship the same day. If you want to ship overnight, you will need to pay an expedited fee, which will depend on the merchandise weight and destination. WineBasket.com has baskets starting as low as $30 and they can go as high as $800 – though these are gourmet baskets with multiple bottles of wine and fine chocolates. Want to save on shipping costs? WineBasket.com is one of the only gift basket companies to offer exclusive discounts (including coupons off your order) if you sign up for an account on their site.